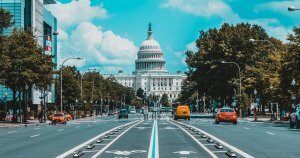 Complicating things further, in the United States, cryptocurrencies are treated as propertyand are subject to capital gains tax the same way real estate is. Capital gains tax rates vary by income levels, and are classified as “short-term” and “long-term” depending on how long the asset has been held by the owner. Each classification also has different rates. Jerome Powell said today that the Federal Reserve has no choice but to face the mounting U.S. debt balance. That negative balance is now $21.9 trillion. The annual U.S. deficit has reached sustained highs of over $1 trillion. Jerome Powell. Image from Shutterstock. The Federal Reserve has been pursuing a policy of quantitative tightening. This to counter the quantitative easing put in place in response to the global economic crisis. It has been reducing the amount of U.S Treasury Bonds it purchased by allowing these holdings to expire. This means the Federal Reserve is earning less interest on its holdings. Interest that usually contributes positively to the treasury balance. Through increased interest rates, government debt gets a higher cost of interest, adding to the debt balance. That said, the Federal Reserve’s impact on the accruing U.S. debt is minor compared to the biggest culprit – government spending. A Suicide Mission or a Debt Bomb? U.S. Debt Bomb Imminent? Image from Shutterstock. Wall Street legend Jeffrey Gundlach warned in December that the federal reserve appeared to be on a “suicide mission” to be raising interest rates at the same time as U.S. debt is increasing. An expanding deficit can often be a signal for the federal reserve to lower interest rates, instead of potentially compounding a problem. The fact that Powell is concerned about debt is not bad news for the markets. It actually makes further interest rate hikes less likely as Powell will be concerned about further compounding the U.S. debt balance. It could even mean the Federal Reserve considers an interest rate reduction. This post credited to CCN. Featured image from Shutterstock. This post credited to Cointelegraph. In December, traders’ investment in the cryptocurrency market has been comparatively better than what it was on Wall Street, as demonstrated by the relative performance of the Bitcoin price and S&P 500 index. Bitcoin underwent an impressive bullish correction after falling almost 85% from its all-time high near $20,000. The price at the beginning of December established an interim bottom level at $3,127 before jumping towards its monthly high near $4,237. That totaled its correction to almost 35.5%. The S&P 500, on the other hand, was already undergoing a downside correction after establishing its 52-week high at 2,940.91. As December kicked in, the index noted ten back-to-back daily selling sessions during mid-term — causing a crash of almost 20% from the recent peak, its lowest since April 2017. The S&P’s sister indexes, Dow Jones and Nasdaq, also plunged significantly within the same timeframe. The trio together came closer to record the worst monthly crash since October 2008, during the time of the financial crisis. Overall, The S&P 500 slumped 19.8% by Tuesday from its September 20 record close. The Nasdaq and the Dow depreciated 23.3% and 18.8% from their record closes set August 29 and October 3, respectively. The fundamentals of both Bitcoin and S&P are quite distinctive from each other. While Bitcoin is a standalone asset, which is traded mainly via retail and OTC markets, S&P is a market capitalization index of the US’s biggest public-traded corporations by market value. Each market was responding to its specific catalysts, without establishing any definitive correlation with the other. Bitcoin, for instance, corrected all this year after overreaching its upside targets without confirming real demand. Along with Ethereum, it was used as a method to raise funds to many young blockchain startups that eventually failed without making the product they intended to make. Some of them even turned out to be vaporware or outright scams. This and other factors finally increased the selling pressure on the Bitcoin market and caused a huge plunge. The cryptocurrency only recently found a temporary bottom, which influenced speculators to accumulate the asset at lower prices. The crypto market is eyeing 2019 to be the year of BTC’s institutional adoption, which influences the traders within it to “buy the dips” and hold the digital currency unless their respective upside target is established. Unlike Bitcoin, the S&P 500 is reacting to macroeconomic factors, ranging from Fed interest rate hikes to global political scenarios rooting from the Trump administration. A recent tweet from US Treasury Secretary Steven Mnuchin on Tuesday revealed that he was in talks with the CEOs of the Untied States’ six biggest banks. It led to a pessimistic market sentiment over the liquidity among these institutions. The ongoing US-China trade war is also heading into a blank despite the assurance from both Washington and Beijing. A vice presidential-level meeting between the two powerful economies, as reported on Sundayby the South China Morning Post, hinted positive outcomes. But it wasn’t enough to reinject optimism into the US stock market. The S&P is expected to consolidate until the new year kicks in. Most of the traders and stockbrokers are away from their desks during the holiday season, which is likely to reduce the volume in these markets. Despite being the two distinctive asset classes altogether, Bitcoin has proven to be better in terms of return of investment this month. This post credited to ccn Featured Image from Shutterstock. Charts from TradingView. U.S. President Donald Trump has hired the prominent Bitcoin supporter Mick Mulvaney to be his new White House Chief of Staff. Donald Trump is one of the most polarizing people on Planet Earth and whether you love him or hate him, it is beneficial for the crypto industry to have a major Bitcoin advocate whispering sweet nothings into the ear of the American President. Although Donald Trump might not top a list of the humblest people on the planet, he most definitely loves making money. Trump’s appointment of Mulvaney to the White House is a massive boon for crypto-fanatics. Mick Mulvaney is a crypto supporter and fan. When he was working at the House of Representatives, Mulvaney, who is a South Carolina Republican, was one of the people who worked towards creating the Blockchain Caucus, which is a group of lawmakers that write and create new laws for emerging technologies such as cryptocurrency. “Blockchain technology has the potential to revolutionize the financial services industry, the U.S. economy and the delivery of government services, and I am proud to be involved with this initiative.” -Mick Mulvaney. Image from Flickr. Mick Mulvaney has knowledge of the inner-workings of blockchain and crypto in general. He helped the Blockchain Caucus to draft two new legislative acts that support the growth and evolution of the blockchain industry. The proposals were drafted to help increase the growth and support of blockchain innovation. The House Resolution 1108 was proposed to increase research in blockchain technology to show Congress how to take a sensible regulatory approach to the industry’s newest technological innovations. Although U.S. President Donald Trump rightfully gets criticism from all quarters for some of his decisions, especially in terms of immigration and foreign policy, when it comes to emerging blockchain technology, he seems quite open to its potential. The appointment of Mick Mulvaney to the White House by Donald Trump is a positive move for crypto-fans and aficionados alike. This post credited to ccn image from Flickr. Four agencies of the state government of Vermont in the United States have jointly formed a working group to study blockchain technology, according to an announcement published Dec. 10. The working group will comprise the Attorney General’s Office, the Department of Financial Regulation (DFR), the Secretary of State, and the Agency of Commerce and Community Development (ACCD), and will include industry experts among members. The group will purportedly begin its work in January 2019. The group will purportedly address three core issues, including the opportunities, challenges, and concerns surrounding blockchain technology, the necessity of blockchain-specific regulation, and ways to protects customers who deploy the technology or are affected by it. In March, the U.S. Federal Trade Commission (FTC) created a blockchain working group to identify and target fraudulent schemes which affect the FTC’s consumer protection and competition missions. The group intends to combine expertise and practices on one platform which will coordinate efforts in countering fraud in blockchain and cryptocurrency-related fields. To illustrate her point, Goforth noted that there are four federal agencies in the United States which regulatecryptoassets to a certain degree and form: the Securities and Exchange Commission (SEC), the Commodity Futures Trading Commission (CFTC), the Financial Crimes Enforcement Network (FinCEN) and the Internal Revenue Service (IRS). 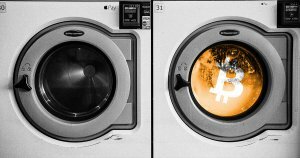 More than 80 percent of all initial coin offerings (ICOs) could be classified as scams, an explosive new report has found.